Is Stanford Trying to Put Children's Hospital Oakland Out of Business? The new Lucile Packard Children's Hospital in Emeryville could siphon off wealthier patients and thus make it harder for Children's Hospital Oakland to serve low-income residents. 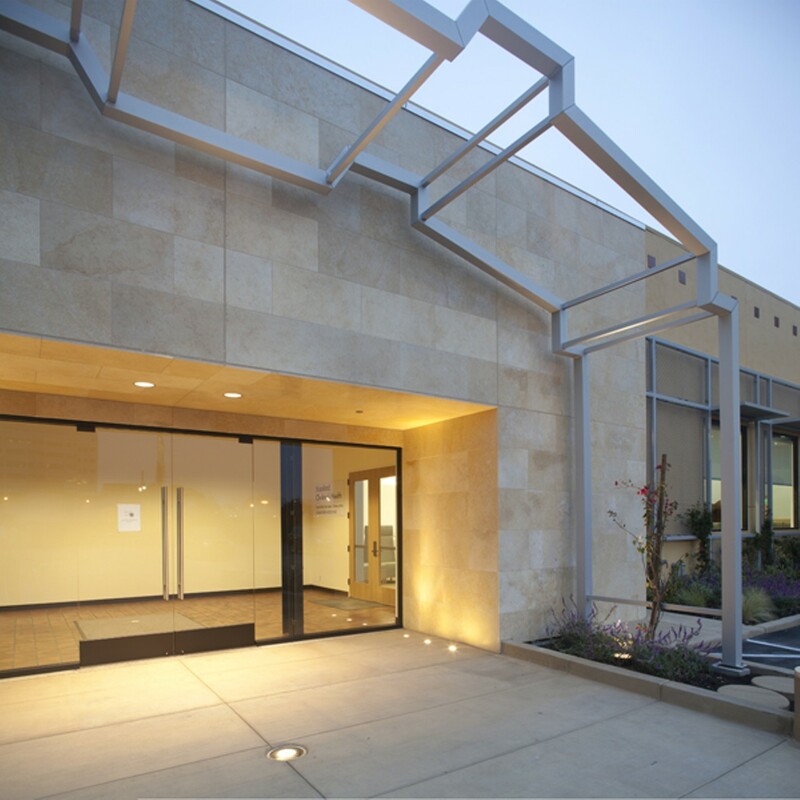 Lucile Packard opened its new Emeryville medical clinic in September. Children's Hospital Oakland has, for many years, operated as a "safety net" institution that sees primarily low-income patients and does not turn away the uninsured. And unlike the majority of children's hospitals across the country, it is freestanding — a private, nonprofit hospital that is not part of a larger system. That means that the income Children's receives from the small percentage of patients who are privately insured is especially critical to the hospital's sustained financial health and continued efforts to serve all in need — regardless of their immigration status or ability to pay. So when word spread recently that Lucile Packard Children's Hospital, part of Stanford Medicine, was expanding its presence in the East Bay, some Children's Hospital Oakland and Alameda County officials questioned Stanford's motives — and expressed concerns about how a new clinic, now open in Emeryville, could hurt the existing system. "They are another great institution," Bert Lubin, president and CEO of Children's Hospital Oakland, said of Lucile Packard. "In this particular case, though, I still question, why did this need to happen? I feel that we provide the services that they are offering there, and if our goals as children's hospitals are for the health of children, was this really for the health of children or was this really to capture a part of the market?" Alameda County health officials echoed this same fear: Is Stanford looking to siphon off privately insured families from Children's Hospital Oakland, which already has a uncommonly high rate of government-sponsored patients? 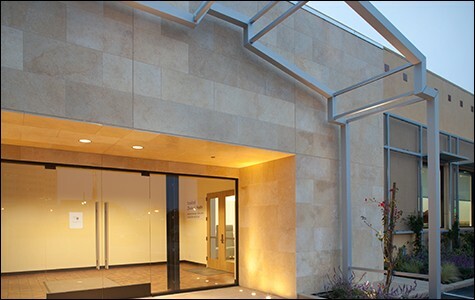 Without much fanfare, Lucile Packard, which has its main campus in Palo Alto and is currently undergoing a large expansion at that site, officially opened the doors to its new 14,000-square-foot pediatric clinic in Emeryville on September 30, starting with orthopedic services. It is now also offering specialized services in gastroenterology, cardiology, and neurology, with plans to add nephrology in January. 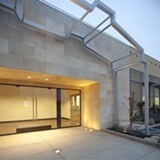 The clinic currently has seventeen doctors — pediatric specialists and subspecialists — working part-time in Emeryville. And Packard recruited some of those doctors away from Children's Hospital Oakland. "The market continues to grow. There's a lot of growth in the East Bay with young families," said Kim Roberts, vice president of physician network development and management at Lucile Packard, when asked why Stanford had expanded to Emeryville. "It is always good for people to have choices." Lucile Packard saw a need for medical services in the East Bay, she added, noting that its new location could potentially help "decongest" Children's Hospital Oakland in certain specialties and give families more opportunities for care. "Emeryville is a really up-and-coming community and it's terrific to be a part of it," she added. Packard also is expanding upon its existing East Bay presence after launching a partnership with Walnut Creek-centered John Muir Health last year. Lubin, however, said that this kind of competition can have negative consequences for a safety-net institution like Children's. "Every percent decline in our insured patients represents an economic challenge for us." At Children's Hospital Oakland, about 90 percent of primary care patients are government sponsored, primarily through Medi-Cal, the state's medical welfare program, and in 2012, nearly 70 percent of emergency department cases involved government-sponsored patients. Children's Hospital Oakland, in a 2012 community benefit report, estimated the value of its charity care, meaning free care to uninsured and underinsured patients, to be $10.8 million (and $146 million in government-sponsored healthcare). The high rate of Medi-Cal patients translates directly to financial losses. The hospital's profitability report cited a net loss (after operating costs and reimbursements) of $15 million in fiscal year 2013 and $17 million in fiscal year 2012 for its Alameda County patients. By contrast, Lucile Packard's finances are much more stable because the majority of the hospital's patients are privately insured. Only 45 percent of primary care patients are in Medi-Cal at Lucile Packard — about half as much as at Children's Hospital Oakland. "I welcome Packard's interest in East Bay children and I'm deeply respectful of their skill and talent and sophistication," said Alex Briscoe, director of the Alameda County Health Care Services Agency. "I am concerned that any service focused on commercial pay in Emeryville and Berkeley and more privileged parts of Alameda County could have the unintended consequence of destabilizing our critical safety net at Children's [Hospital Oakland]." Children's Hospital Oakland, he added, is "an institution perched on the knife's edge of financial viability," and Lucile Packard's Emeryville clinic, especially if it lacks a generous charity care plan to serve the uninsured and undocumented, could potentially push Children's toward an even higher rate of government-sponsored patients. What's unique about Children's Hospital Oakland — a quality that contributes to its success — is that it is both the public health provider of last resort and the preferred provider in the county, he added. Lubin, who acknowledged that this kind of competition is increasingly common, pointed out that the goals of Stanford's new Emeryville clinic may be tied to Lucile Packard's expansion in Palo Alto, where construction of a new facility adjacent to its current hospital is underway, slated for completion in 2016. "They have a lot of economic resources that are certainly much bigger than a freestanding children's hospital in Oakland," Lubin said. "So their move to open up a program in this area — with the knowledge that they're building a brand-new hospital ... that they're going to want to fill — makes me wonder, is the rationale behind this to be able to attract patients that are insured and then hospitalize them at Stanford or at Packard rather than coming to this hospital that has supported this community for all these years?" If Stanford is looking to increase its market share, it only makes sense that it would come here. "The kids are in the East Bay. So we're vulnerable." Children's Hospital Oakland is also financially vulnerable. "If we drop 5 percent in our managed care, that's a significant impact for us," he said, referring to privately insured patients. A loss of insured patients to Lucile Packard could force Children's Hospital Oakland to take a range of steps, including diminishing some of the community benefits it offers, increasing fund-raising efforts to help cover the hospital's deficit, instituting new cost-cutting measures, and more, Lubin said. Lucile Packard's Emeryville expansion also comes as Children's Hospital Oakland is moving forward with its own plan to affiliate with UC San Francisco as part of an agreement announced in August. Through this formal relationship, Children's Hospital Oakland will remain separately licensed and retain its own board, but the two institutions will jointly operate BayChildren's Physicians, which is the medical foundation of Children's Hospital Oakland. The partnership, which aims to broaden this network to include more Bay Area physicians, will help Children's Hospital Oakland remain competitive as Lucile Packard moves into its market, Lubin said. Still, the Emeryville move is disconcerting given that Stanford's focus will likely remain on Palo Alto, Lubin said. "Are they going to serve 70 percent Medi-Cal [in Emeryville]? Hardly. Are they going to make a commitment to this community in the way we have all these community benefit activities? They make a commitment to the Palo Alto community, and they do a good job at that just like we do a good job in our community. You wonder what is the purpose of this? And so, it's painful, but it is part of the reality of life. So we have to step it up to be sure that we're providing the best that we can and keep patients here." Roberts, however, said she believes that the new Emeryville clinic won't be "very consequential to the overall fiscal success of [Children's Hospital] Oakland," noting that the facility is an outpatient clinic offering specialty services. She said that while it's possible patients will switch over from Children's Hospital Oakland to Packard, "we don't have any particular plans, if you will, to actively move patients." Roberts said that because the Emeryville clinic has only been open for two months, she could not offer specifics on the percentage of patients who have been or will be government sponsored. Asked about a possible connection between the East Bay expansion and the development in Palo Alto, Roberts noted that Lucile Packard has been working to expand its network throughout the Bay Area, with existing collaborations in San Francisco and Walnut Creek and additional locations ranging from Santa Cruz to Sonora to Napa and beyond. Packard currently has collaborations in ninety locations in eight states, she said. This new tension between Packard and Children's Hospital Oakland reflects similar situations in healthcare markets throughout the country, said Mark Wietecha, president and CEO of the Children's Hospital Association, which represents hundreds of hospitals. "There has been a battle for commercial kids in the Bay Area for many years," he said, referring to patients who have insurance and thus help offset the costs of those who do not.